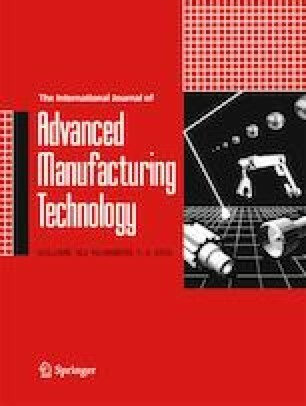 In current study, an inverse analysis is conducted on tool life based on five process parameters, by predicting tool life based on guessed process parameters, which is defined as the forward problem, and applying iterative gradient search to find process parameters for next iteration, which is defined as the inverse problem. For forward problem, the effect of laser beam is included by treating it as a heat source on top surface. Next, the milling configuration is simplified as orthogonal cutting followed by angular-dependent coordinate transformation at each rotation angle. The effective force due to flank wear is predicted by integrating the stress components along the chip cross section and wear land, and the average stress on tool-workpiece interface is then derived based on the effective force and contact area. The average temperature along the interface is derived by considering secondary and rubbing heat sources. The stress and temperature affects the abrasion, adhesion, and diffusion which determine the flank wear rate. The tool life is then decided as the cutting time when the flank wear limit of the tool is reached. The iterative gradient search or variance-based recursive method is applied to solve inverse problem and update process parameters to match the tool life. Three cutting parameters including depth of cut, feed per tooth, and cutting speed, and two laser parameters including laser-tool distance and laser power are updated in each iteration. The proposed model is validated through experimental measurements on the laser-assisted milling of K24 nickel-based superalloy. The proposed predictive model is able to match the measured tool life with high computation efficiency less than 540 s and high accuracy of less than 7% difference.